Fresh fruits and veggies: a Mediterranean Diet staple. Everyone, it seems, is raging about the Mediterranean Diet. Headlines splash my newsfeed praising it for lowering the risk of heart disease, diabetes, breast cancer, depression, Parkinson’s and Alzheimer’s–not to mention its fame as a way to lose weight. But what about the people who were following the Mediterranean Diet before following the Mediterranean Diet was cool (or even a thing!)? That’s right, I’m talking about Spaniards. In Spain, the Mediterranean Diet is not a thing of scientific journals or weight loss websites, it is just… normal. Olive oil is bountiful and tasty. Fresh fruits and vegetables are staples of snacks and dessert. Fish and seafood are plentiful for lunch, dinner, tapas and everything in between. Following the Mediterranean Diet in Spain is not something people set out to do, it’s they way they were taught to eat. And while that may seem straightforward, the what and how of eating in Spain are anything but simple to an outsider such as myself. After years of practice, researuch and intent observation, here are the pillars I’ve found of following the Mediterranean diet like a Spaniard. In Spain, olive oil goes on everything! Spain produces more olive oil than any other country in the world. And their cuisine shows it. Spaniards consume nearly 10 liters of olive oil per person per year! The average American, by comparison, consumes less than 1 liter per year. In Spain, grocery stores have entire aisles dedicated to olive oil, recipes call for cups and cups of it and Spanish kitchens are inoperable without it. A meal, particularly a lunch, without wine is a rare sight in Spain. But you won’t find people staggering back to work. Spaniards tend to be extremely slow drinkers, savoring one glass of wine throughout a two-hour long meal. The Mediterranean diet’s guidelines call for one to two glasses of wine per day. 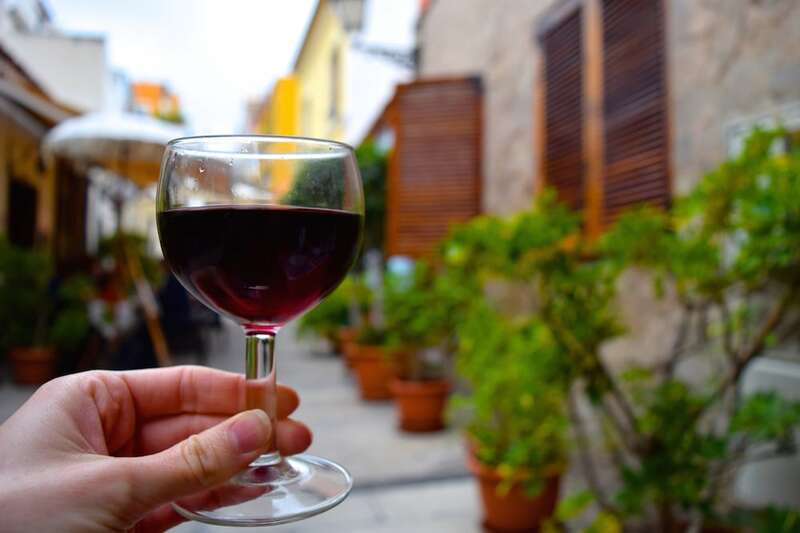 Scientists might say it’s because of the antioxidants, but Spaniards often say wine just goes better with the meal! The sauces from this presa iberica are just waiting to be sopped up! You finish a spectacular dish and the plate is smeared in the scrumptious sauce. If you’re in Spain, that means it’s time to rebañar aka mop up all of that amazing sauce with a piece of bread. Rebañando is not only my favorite part of the meal, it is also a stellar way to get more whole grains (the bread, much of which is unrefined and freshly baked) and olive oil (the base of many sauces in Spain). Bread and other whole grains are the base of the Mediterranean diet and olive oil is, in many ways, its shining star. In Spain there is a specific verb for “take a walk without any particular destination in mind just to enjoy the outdoors and move around a bit.” It is pasear. Young people go for a paseo and window shop, mothers take their strollers for a paseo around the neighborhood and grandparents shuffle their way around the block for their evening paseo. Exercise, even if it is just 45 minutes of walking per day, is an essential part of the Mediterranean diet. 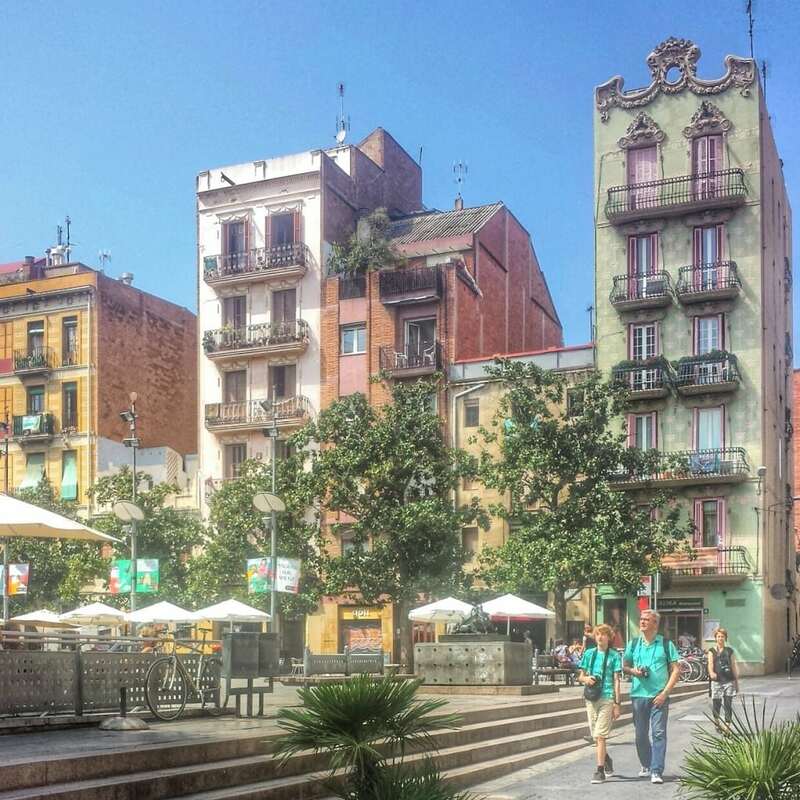 Cities in Spain are designed for walking and as such people tend to walk a LOT! 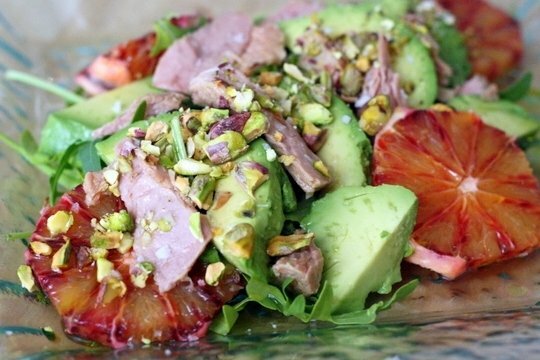 Tuna: the go-to Spanish salad topper. I have never seen (or eaten!) so much canned tuna in my life as I have over the past few years in Spain. But I’m not talking the flavorless white mush mixed with mayonnaise that is the canned tuna of my childhood. Canned or jarred tuna in Spain often comes in inch-wide filets of beautifully natural fish conserved in olive oil. Just sweet enough to make the dessert menu. One of the most common desserts in Spain is something I had never even considered dessert: fresh fruit. Whether it is slices of orange, a round medallion of fresh pineapple or a thick wedge of melon, many households and restaurants in Spain will offer plain fruit to finish off the meal. The Mediterranean Diet guidelines suggest eating five servings of fruit per day. 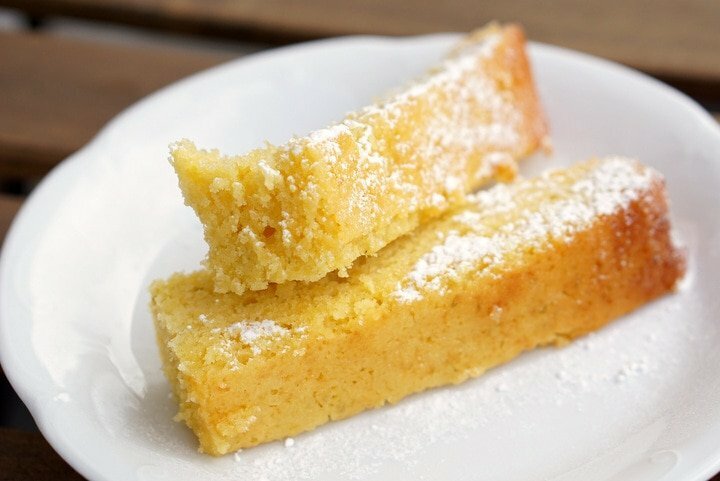 Thanks to its dessert status, that’s a simple goal to meet in Spain! 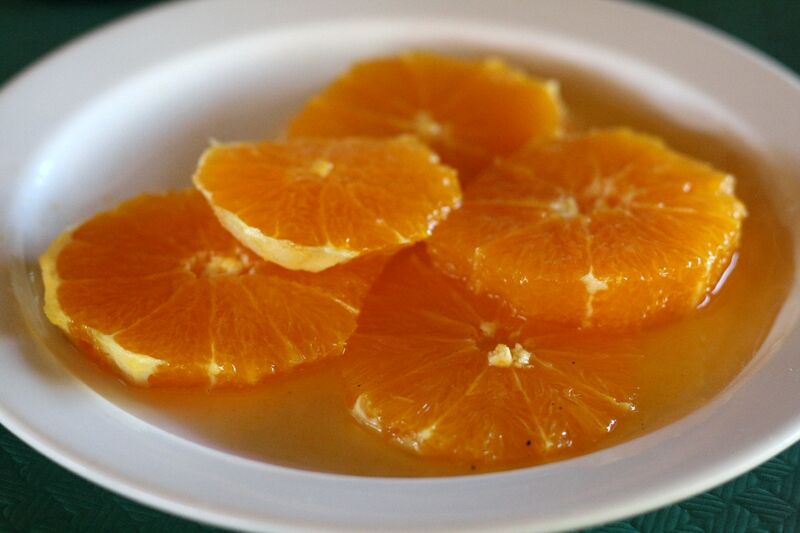 It is also common to have fruit with breakfast, as a morning snack, and as an afternoon snack. Whole grains? Check (rice). Fresh vegetables? Check. Seafood and/or poultry? Check. Olive oil? Big check. Paella may just be the perfect food per Mediterranean Diet guidelines, which recommends eating at least one serving of each of those ingredients every day. 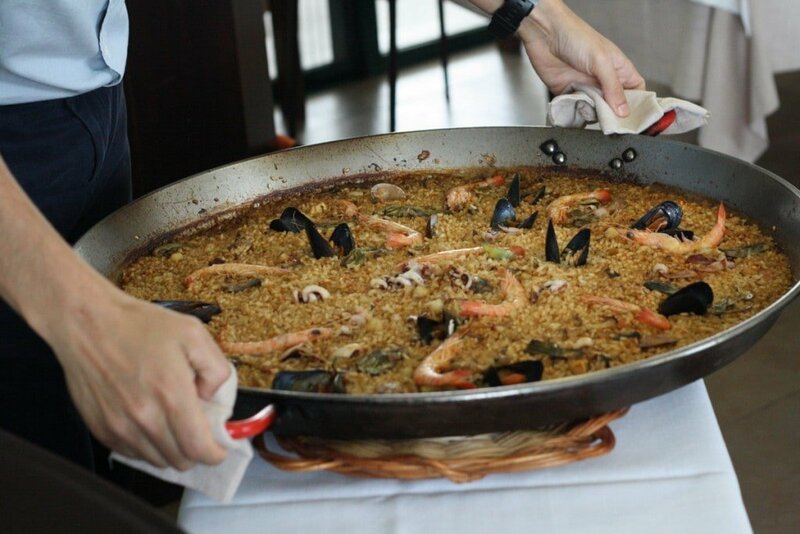 In Spain paella and many other very similar rice dishes are hugely popular lunch foods. Whether it´s a big paella for a family lunch on Sunday or a plate of highly seasoned rice with chicken and vegetables for a mid-week work lunch, this nutrient-packed dish is hugely popular. Tomato and toast… a match made in breakfast heaven. Free the tomato from its status as a garnish, a mere dash of color to your green salad or turkey sandwich! Liberate them from the constrains of lunch and dinner! Tomatoes in Spanish cuisine are titans of flavor that dominate dishes at every time of the day. 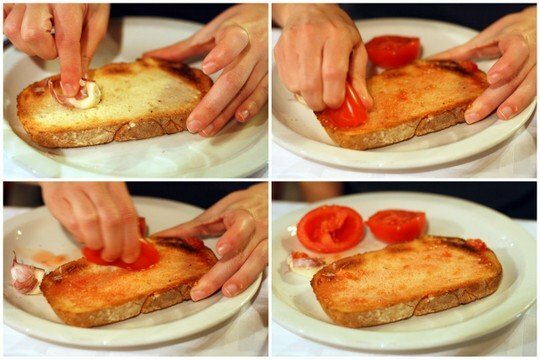 From pan tomaca (toast with olive oil and tomato) at breakfast to ensalada de ventresca (thickly sliced tomato with tuna belly, onion and olive oil) for dinner, tomatoes are ever-present in the Spanish diet. And with their high levels of vitamins and antioxidents, tomatoes are a prime ingredient in the Mediterranean Diet. Yes, these are anchovies. And yes they are excellent! 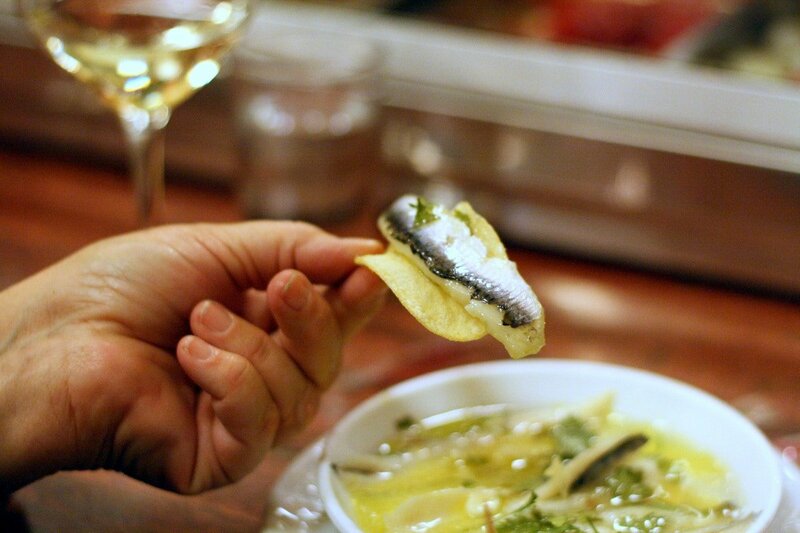 Hating anchovies (without actually every tasting them…) was hard wired into me as a child. Just how they fell so far from grace among the American youth in the 90s I’m not sure, but I was sure I wasn’t coming anywhere near those thin tins of fish. 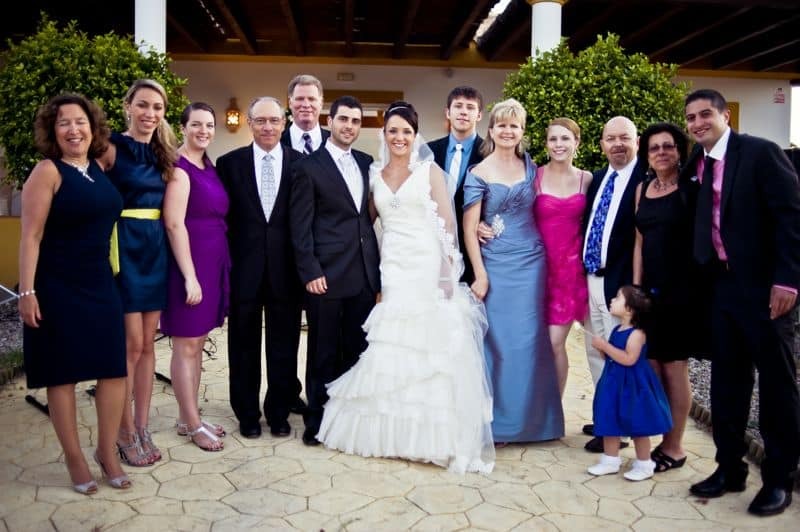 Then I moved to Spain. And discovered boquerones, white anchovies. They are tender, garlicky and vinegary, topped with parsley and almost always served with a cold caña of beer. Those scary little fish have now become one of my favorite foods. Anchovies also happened to be rockstars in the Mediterranean Diet. They are packed with omega-3 and omega-6 fatty acids and protein. Even the streets have stairs! There are 136 stairs between the metro train and my front door. Neither the metro station nor my apartment building has an elevator. Welcome to Spain. What many of my friends and family members back home would consider exercise is a fundamental part of daily life in Spain. Many old buildings do not have elevators. Most metro stations have multiple flights of stairs. 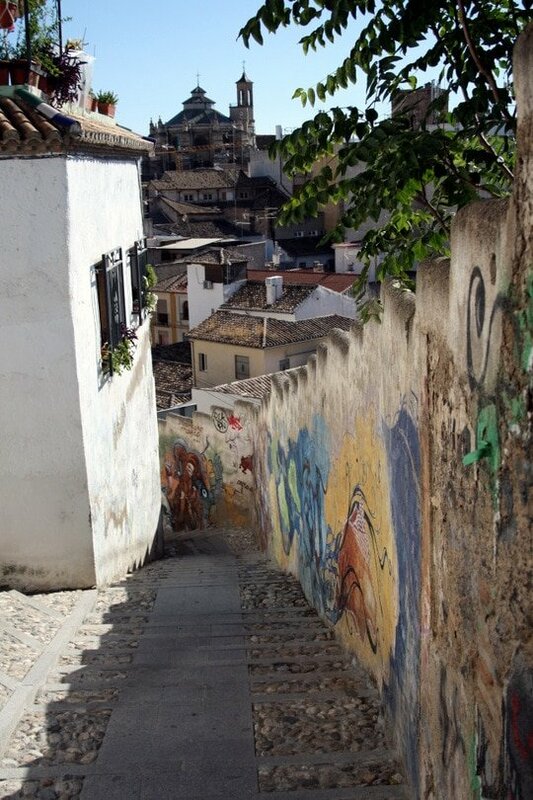 Even some streets are so steep they have stairs! I like to think of all this forced stair climbing as built-in exercise. Forget a gym membership, I’ll just come and leave my house three times! 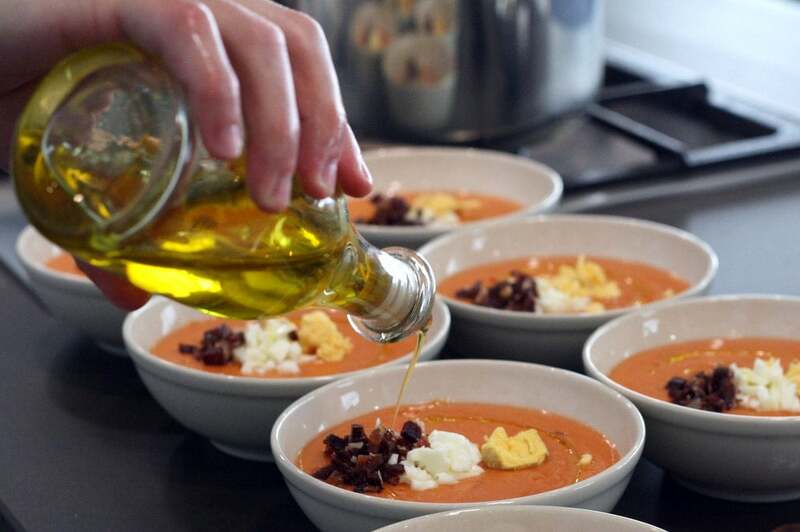 Do you follow the Mediterranean diet? What do you like (or not like) about it? Very creative post with good advise. 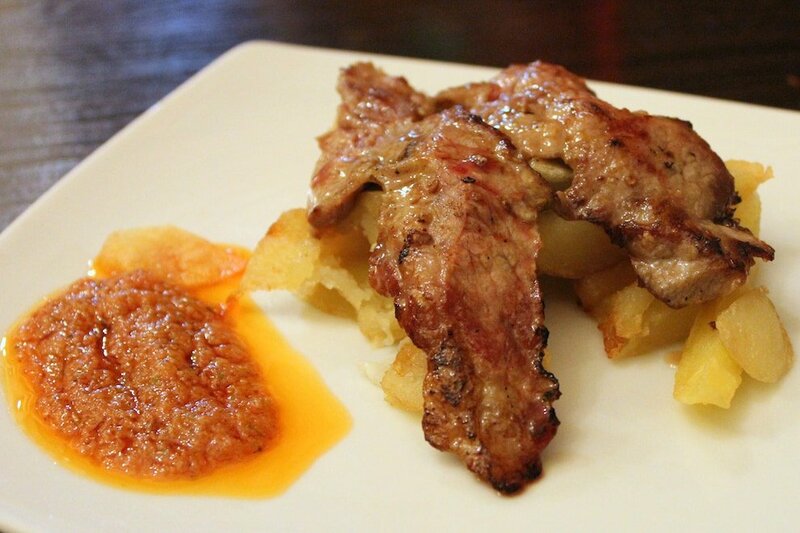 What is the sauce with the presa iberico? I might add an eleventh commandment: eating small bites often throughout the day. Has anybody ever had good vegetables anywhere in Spain? Apart from raw broad beans it’s mostly chips with everything, perhaps with a seared strip of capsicum if you’re really lucky. If you do get veg they’re often straight out of the freezer then boiled to death like school dinners. Spanish need to learn how to steam! It really depends where you are– Spain has some of the most delicious vegetables I’ve ever tasted! But it’s true that some of the standard restaurants overcook everything! I’ve had incredible vegetables like tomatoes, artichokes, roasted red peppers, carrot salad, eggplants, asparagus… anything in season!